Putting the finger on the pulse of every fashion lover of today, this shirt has been designed to perfection by the popular brand, true Blue. 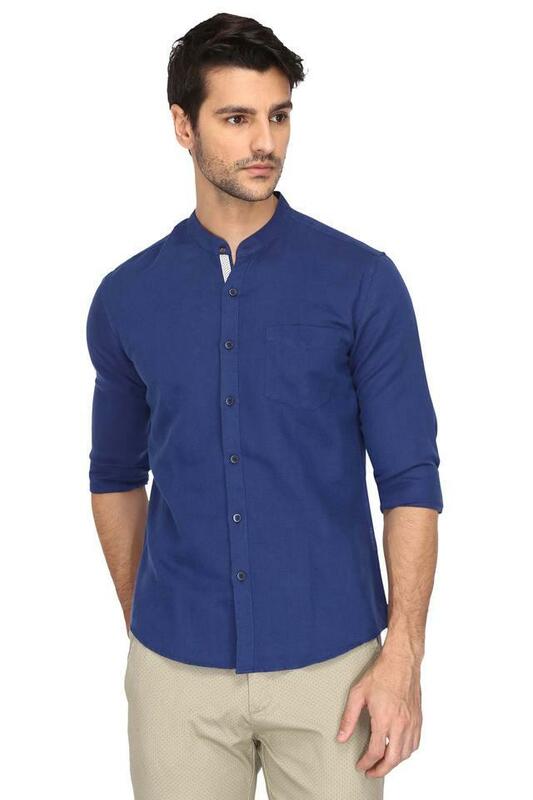 It is crafted with care using a good quality fabric so as to keep you at ease all through the day. 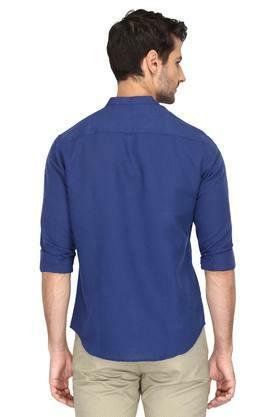 Also, the mao collar along with the slub pattern lends it a fashionable look. 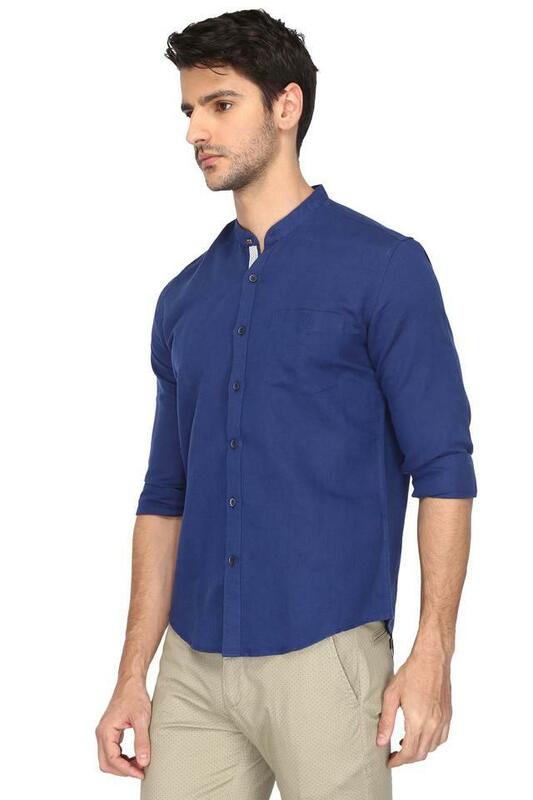 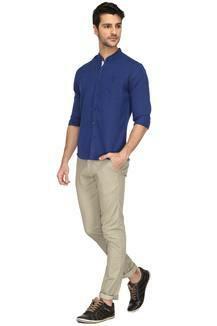 Modernise your style statement by wearing this shirt with a pair of vintage wash jeans and boat shoes. You can even roll up its full sleeves to spruce up your casual look.